How Much Should You Spend on Repairing Asphalt Driveways? 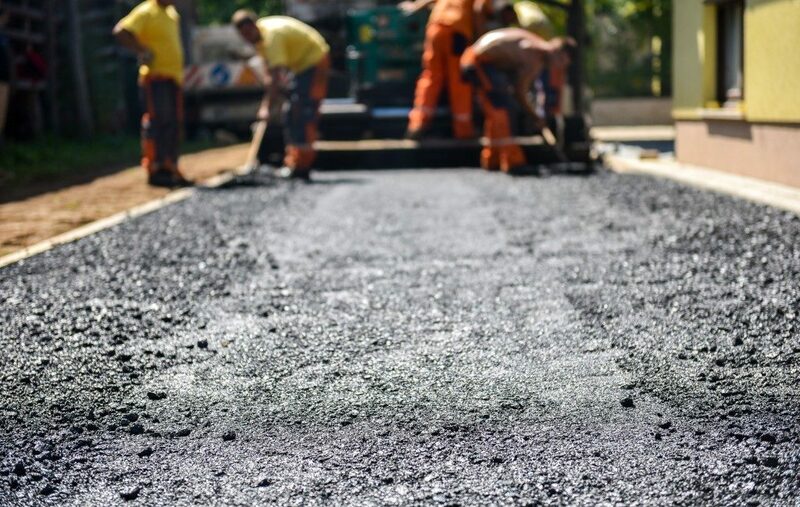 It costs an average of $2,108 to repair asphalt driveways this year, but actual rates may vary depending on the type of work and your location. You could pay anywhere between $300 and $6,000 for repairs. Most homeowners typically spend from around $930 to $3,300. When choosing a contractor, ask about the coverage of work for each repair. For instance, asphalt striping in Utah may cost less than a similar service for personal parking spaces in California. Since this is a labor-intensive job, you should consider hiring a professional instead of planning to do it by yourself. 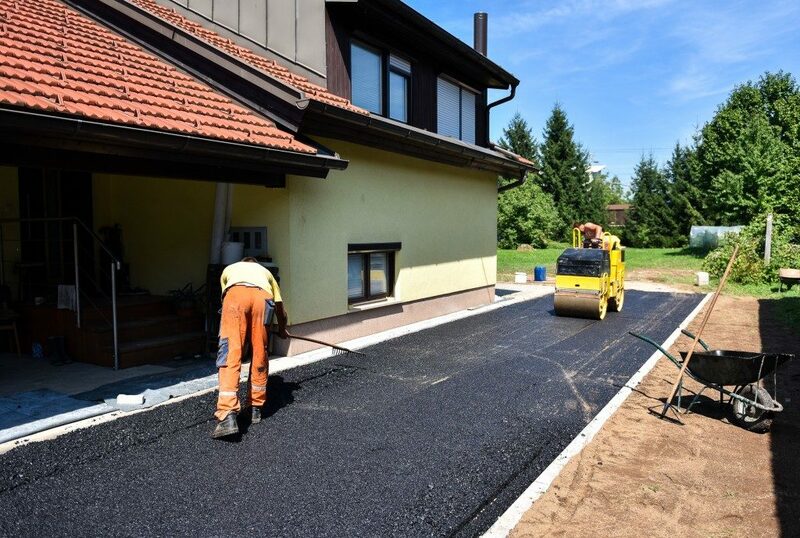 There are various reasons when to repair, resurface or replace the asphalt pavement on your driveway. Repair work makes more sense for small cracks on the surface, but they should not be wider than one-fourth of an inch. Puddles that do not seem to be part of a bigger problem are also suitable for repairs, while drainage issues in your driveway are another reason. Resurfacing will be a better option for any bigger issues. This also serves as an option for those who can’t afford a replacement yet. While it may not solve the real problem altogether, it lets you prolong the driveway’s lifespan. A resurfacing project costs at least $2 per square foot. Take note that an asphalt driveway only lasts for 12–25 years, after which you would have to replace it. Depending on how you maintain it, it may even be sooner. Don’t think that you could ignore a problem just because it hasn’t reached the end of its lifespan. Cracks are among the most common problems for asphalt pavement, and homeowners should be quick to fix these issues. Otherwise, you run the risk of letting shortening the lifespan of the driveway. Instead of spending just $100–$300 to repair a crack, you would surely spend more to resurface or even replace it due to neglect. You might think that fixing cracks or potholes simply require a new coat of asphalt, but the actual work seems more complicated in reality. A DIY solution may not resolve the underlying problems such as what routinely causes cracks. Only a professional could determine this for you. Preventive maintenance is also necessary after each completed repair project. You should consider spending an extra $200 up to $600 for asphalt sealant, which protects the newly repaired surface from foot and vehicle traffic. This should last for up to two years. There are some scenarios when additional expenses would be unavoidable. Grading for a sloped driveway would cost you around $1.5 per square foot. Repairs that require some digging will also set you back by up to $3.50 per square foot. Most homeowners choose asphalt for their driveways since it is a cheaper material than concrete while being durable at the same time. However, it requires proper installation and maintenance to reach their usual lifespan, and this is more possible with the help of a professional.